Turnips. I can't say that I'm in love with them, but I can say I have come to at least kind of like them. 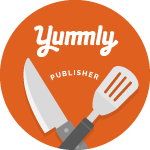 I do have a go-to recipe where I saute them with walnuts and bacon that never fails to turn them into something special. This is not that recipe. The other night I just didn't feel like doing the same old thing. Why not try something different? Maybe it would be even better than my go-to recipe and I'd appreciate the turnip even more. 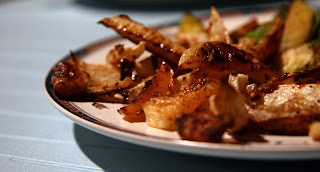 I found an interesting recipe via my Epicurious iPhone app for Roasted Parsnips, Turnips, and Rutabagas with Ancho-Spiced Honey Glaze. I didn't quite have all the ingredients on hand, but figured I could adapt it. 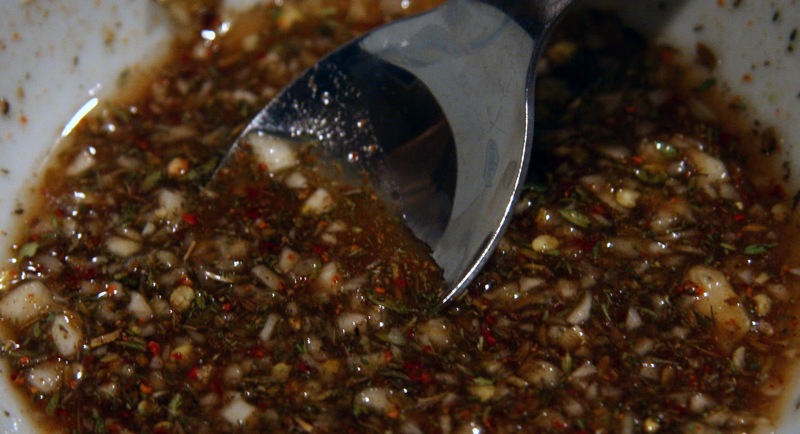 In a large bowl whisk together melted butter, honey, lemon juice, thyme, cumin, cinnamon, hot pepper and salt. Set aside. In a large bowl toss the turnip wedges with the olive oil and a pinch of salt. Line a rimmed baking sheet with parchment paper and spread out the turnip wedges so none of the pieces are overlapping. Roast for about 40-45 minutes, until the turnips are soft and lightly browned in spots. Pour the glaze over the cooked turnips, gently toss to coat and return to the oven for 10-15 minutes more or until the glaze is absorbed. While this adapted recipe worked out fairly well, I'm still not in love turnips. I think adding other root veggies like they did in the original recipe might be a key component to success. Maybe I'll give it another go. 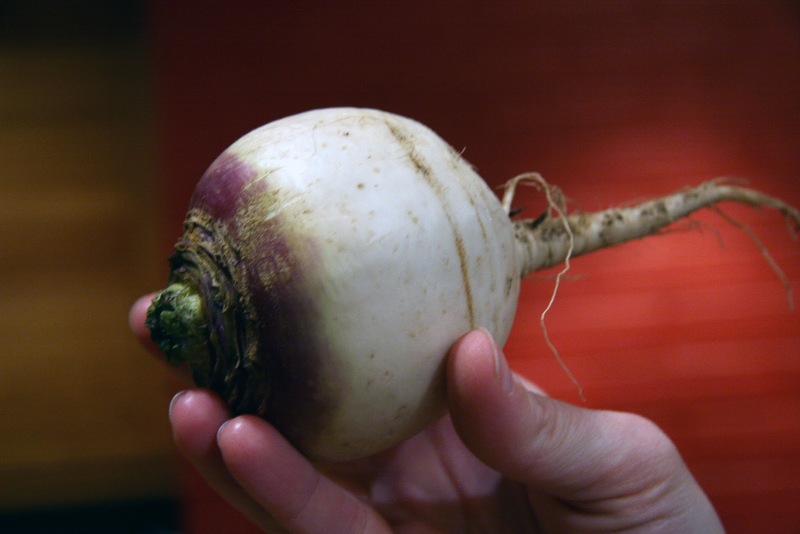 What do you make with turnips?